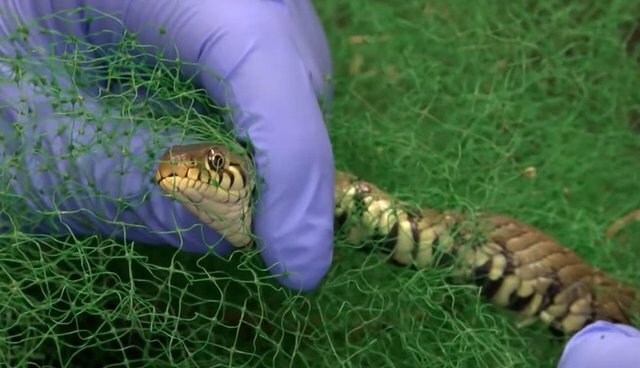 A grass snake arrived at the hospital this week, all tangled up in a gardener's net. Vet nurse Lucy was happy to rescue one of her favorite animals, but she didn't expect his stinky surprise! Watch our video to see how the guilty animal treated his helpful friends. Our smelly guest doesn't know he's got it so good!